Executives from Epic, Allscripts, athenahealth, eClinicalWorks and Greenway reveal what business decision makers should expect from their forthcoming software and cloud-based services. Electronic health record systems are the backbone of ambulatory practices today and need to be designed and tailored to meet the specific needs of physicians. Ambulatory EHRs are tasked with streamlining workflows, improving care and helping to trim costs. And like every technology, ambulatory EHRs are evolving, changing in different ways to meet the constantly transforming healthcare marketplace. It’s up to physician group practices, health systems that own numerous group practices, and other ambulatory healthcare organizations to stay abreast of change to make sure they are getting the most out of their EHRs, and to make sure that they don’t fall behind technologically in a highly competitive industry. Ambulatory EHR experts at both provider and vendor organizations have a wide variety of informed opinions and helpful insights as to where the technology is headed next so that ambulatory healthcare provider organizations can best prepare for where they need to be in the years ahead. And they share their expertise here, as well as in a checklist of both evolutionary changes coming soon and ways organizations can future-proof in advance of such changes and in a case study of an ambulatory EHR in action. But to understand where ambulatory EHRs are headed, it’s important to first understand where things stand today. EHR experts have lists of components that they believe make up a high-quality ambulatory EHR now. Among ambulatory provider organizations in the top 5 percent that have attested for meaningful use, Epic, Allscripts and athenahealth are the top EHRs for solo practitioners and for group practices with 2 to 25 physicians, according to research from HIMSS Analytics. Epic, Allscripts and Cerner come out on top for group practices with 26 or more physicians. 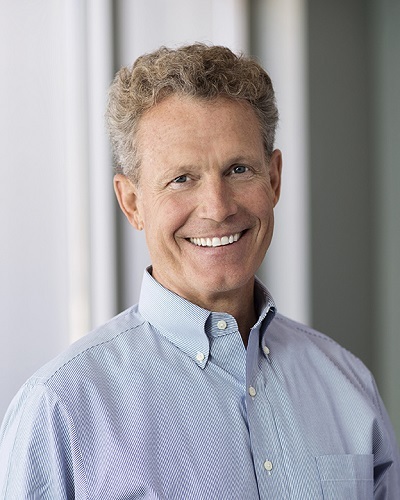 An ambulatory EHR should have the power to connect communities, providing clinicians immediate analysis and insights to initiate meaningful change, said Allscripts CEO Paul Black. Clinicians want to take great care of patients while staying independent and financially viable. They do not need complicated systems that create as many headaches as they solve. A comprehensive chart is critical to an ambulatory EHR, one that provides enough information to optimize clinical decision making and care planning and prevents the need to repeat tests or the risk of potentially doing harm, for example, administering a medication for which the patient has a severe allergy. Another must-have for ambulatory EHRs is computerized physician order entry – effective CPOE tools enable easy order entry (for instance, labs, imaging, referrals, etc.) and present information to physicians that drives more effective ordering decisions, Gee added. 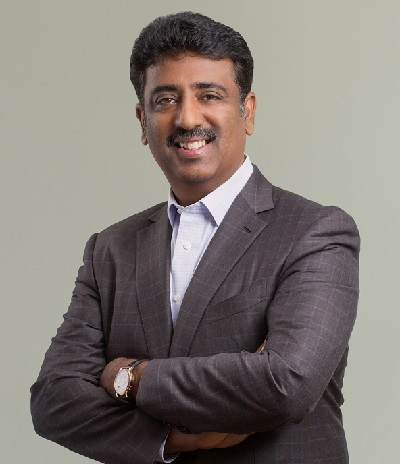 And fundamental to any ambulatory EHR are tools that help providers better understand each patient’s needs, more accurately gauge risk, and promote more effective treatment and improved outcomes, said Girish Navani, CEO and co-founder of eClinicalWorks. Ambulatory EHRs today are marked by a variety of top features and functions, the state of the art from which the technology will grow into the future. On another note, standards like FHIR are emerging for the exchange of electronic medical records between providers, but a lack of adoption and/or willingness to share this data efficiently and effectively with outpatient healthcare providers still is creating challenges to implementing fully integrated care. Elsewhere, today’s EHRs should offer not just methods and tools to make a doctor’s office more efficient, but ways for doctors to connect with patients more meaningfully, said Navani of eClinicalWorks. Today’s ambulatory EHRs should work the way physicians work, said Richard Atkin, CEO of health IT vendor Greenway Health. If EHRs give physicians time back and improve their quality of life, they can focus on providing the best quality care to patients; EHRs today should provide added value to ambulatory practices and serve as a one-stop-shop system, Atkin added. In addition, EHRs that support patient portals and messaging systems are a must-have today in the age of healthcare consumerism, he added. Allscripts CEO Paul Black said the state of the art in ambulatory EHRs today includes four components: mobility, the cloud, comprehensiveness and data sharing. So where are ambulatory EHRs evolving toward? What will be the features and functions of tomorrow that group practice physicians can’t live without? Ambulatory EHR experts point in many directions, from artificial intelligence to genomics and more. Patient engagement through mobile apps for managing health and wellness could be the driving force to making personal medical records a reality with which EHRs will need to exchange data, he added. Consumer-facing apps like Apple Health Records could provide availability of near-real-time data from a variety of trusted devices to augment and enrich medical records that reside within traditional electronic medical records, he said. In the future, EHRs will not just track a patient’s adherence to his or her care plan but also alert providers when a patient is missing certain elements or when specific steps of the plan have not been completed, said Atkin of Greenway Health. Machine learning will be more commonplace in EHRs, guiding the provider and suggesting medications or care plans based on additional patient data and information stored in the system, he added. Looking ahead, EHRs will also be capable of evaluating the financial implications of clinical decisions and giving a set of different choices – such as various treatment options and drug prices – to improve the patient experience, meet their rising expectations and reduce costs even more, Atkin said. And next-generation EHRs should be more advanced in the way they receive information, leveraging voice recognition to cut down the administrative process of entering data even more, he added. This will have even bigger benefits as providers work to spend more time with patients and less on documentation, he said. Artificial intelligence will be a critical element in the evolution of ambulatory EHRs. Incorporating machine learning capabilities to learn physician treatment patterns, for example. Ultimately, this reduces the amount of time spent on documentation, helping address the problems of EHR fatigue and physician burnout, he added. In addition, more and more vendors will have open IT systems. Open architecture makes it easy to create apps, share data and upgrade individual components of a platform. “When we add true vendor-agnostic interoperability, we enable providers to seamlessly communicate and exchange data with any trusted system and use that data to make better informed decisions at the point of care and beyond,” Black said. On the horizon, EHR makers will incorporate EHR-agnostic precision medicine and genomic capabilities within their workflow, Black said. Though most medical groups have invested heavily in health IT, particularly EHRs, most are still struggling to manage the data necessary for running the practice. Sure, Meaningful Use incentives helped them get the technology in the door, squeezing the best performance out of it calls for institutional and financial resources that many can’t afford. As a result. new survey results underscoring the difficulty practices face in managing data came as little surprise to me. The survey, which was sponsored by Geneia, found that 89% of responding physicians felt that the “business and regulation of healthcare” has had a negative effect on the practice of medicine. Fifty-two percent of those responding were ambivalent about the impact of EHRs in their workplace. This included 21% who had a positive view and 22% a negative view of the role of EHRs. In addition, while 96% of respondents said that they believe that EHRs should integrate better with technology systems used by the office and insurance providers, 57% said that their EHRs don’t integrate these systems. Meanwhile, more than two-thirds of respondents said they didn’t have the staff and resources needed to analyze and use EHR data efficiently. Seventy-nine percent of respondents said they’d like to use an integrated EHR analytics tool to access predictive and reporting on existing data. Also, many said they’d like to have population health tools available to identify high-risk patients, find patients who need proactive screenings or monitoring and stratify patients into low-, rising- and high-risk categories. Also, 68% said they need advanced analytics tools to be successful under value-based care arrangements, with 64% of population health users reporting that they think they such tools can help them assess patient history and needs more efficiently. Ideally, the technology will rise to meet this need, as Geneia clearly hopes to do. The researchers found that 44% of surveyed physicians public data and analytics tools could help improve quality performance, Medicare star ratings and HEDIS reporting. Unfortunately for physicians, no technology can make it dead simple to report on quality measures that vary widely from payer to accrediting body to ACO contract. Seeing to it that those data requests are standardized is a business issue they’ll need to confront regardless of how technology platforms play out. Still, putting better risk management tools into providers’ hands can at least help physicians improve outcomes for patients. With EHR frustrations at a boiling point and physician burnout at epidemic levels, it’s time to rethink the way IT is designed, developed and deployed to better enable a human touch, says one clinician. Chris Derienzo’s HIMSS19 SPARK session, “Humanity and Technology in Medicine: Antithetic or Symbiotic?” is scheduled for Tuesday, February 12, from 3-3:30 p.m. in room W300. Artificial intelligence is booming in Europe, China, and the US, but it’s still a very male industry. With so much hype surrounding artificial intelligence today, it can be difficult to know where things actually stand. Fortunately, a report (.pdf) issued by a group of AI policy researchers today collates a range of data that helps capture the state of the AI boom. The authors, from MIT, Stanford, and Harvard as well as nonprofits including OpenAI, look at investments, hiring, papers and patents, and even mentions of AI at government meetings. Here are some take-aways. 1. AI is being commercialized at a dizzying pace. The amount of money being poured into AI startups is remarkable. The number of AI startups (top) is shown on the left, compared with total startups on the right. AI investment (below) is shown on the left, compared with total investments on the right. This speaks to huge opportunities to use machine learning in different industries, but also to a market that is hyped and overheated. 2. The focal points are China and the US, but also Europe. Much has been made of China’s rising AI prowess (see “China’s AI awakening”) and its growing rivalry with the US. As the data shows, Europe is also a huge hub of AI activity. But it seems that three main centers of power are emerging. 3. There are still far more men in the field than women. Many researchers have pointed to the inadequate number of women and racial minorities in AI research. The new report offers some data to back that up, showing a shortage of women among applicants for AI-related jobs (top) and as a percentage of people in AI teaching roles (bottom). 4. The state of the art is improving fast. The report includes several measures of technical progress, including the accuracy of object recognition in images, measured against average human performance (top), and the accuracy of machine translations of news articles, measured using a score assigned by human judges (bottom). These don’t mean that the field is getting closer to developing a human-level AI, but they show how key techniques have been honed in recent years. 5. Artificial intelligence is a political issue. Mentions of artificial intelligence and machine learning in the US Congress (above) and the UK Parliament (below) have exploded in the past few years. This reflects a growing awareness of the technology’s economic and strategic importance (see “Canada and France propose an international panel on AI”). For more info, and to find the data itself, check out the AI Index site. Black Book survey shows that some were wooed by brand names, instead of seeking core functionalities that give ROI – and wish they’d gotten more bang for their buck. Findings from a recent Black Book survey shouldn’t be much of a surprise to anyone in the healthcare IT world: changing electronic vendors is expensive, time-consuming and full of hidden challenges. Bigger health systems usually weather the disruption more easily and come out happier on the other end. Smaller providers, however, struggle to cope with hidden costs, user frustration, and longer than expected downtime, among other things. Brand-name recognition and overeager sales pitches hid some of the most significant challenges providers encountered. Black Book found that 71 percent of providers who switched EHRs saw a drop in interoperability. EHRs are expensive, and also mandatory. When they don’t work well or when physician buy-in to the system is lackluster, it eats into revenue which can already be strained to recoup on the cost of an EHR implementation. Cost overruns or implementation delays caused temporary or permanent layoffs for 22 percent of those responding in the survey, not to mention additional headaches for the remaining staff and lost more money for the system. Finally, clinician burnout, an already worrisome trend, can be exacerbated by changing EHR systems, something an astounding 98 percent of respondents said wasn’t a part of the conversation as they switched EHR systems. “No other industry spends so much, per unit of IT, on the part of the business that is shrinking the fastest and holds little growth as hospital inpatient revenues,” said Doug Brown, president of Black Book. Black Book finds the majority of financially threatened healthcare systems regret switching EHRs – so changing horses mid-race might not be the first move a smaller or struggling provider might want to make. The survey notes that changing providers is a risk that many small healthcare systems are unable to make work to their benefit in the long run. Instead, taking steps such as recognizing the impact of physician burnout, or directing more focus on achievable financial goals such as interoperability or greater functionality may be a smarter tactic. “In retrospect, mid-market system CIOs spent a lot of money focusing on functionality and incentive-dollar achievement, thus many did not appropriately approach long-term value by dealing with basic issues, such as departmental workflows, usability, interoperability and data-sharing standards,” said Brown. “We found the majority (69 percent) of struggling hospital systems in 2018 that are dealing with very tight margins – or even losing money – regret their IT choices, which still have them teetering between being able to stay open or having to close,” he said. The Department of Defense’s (DOD) June 2018 plan addressed the four statutory elements for the transfer of the administration of the military treatment facilities (MTFs) from the military departments to the Defense Health Agency (DHA). Specifically, the plan provided information on (1) how the DHA will take administrative responsibility of the MTFs; (2) efforts to eliminate duplicative activities; (3) efforts to maximize efficiencies in the DHA’s activities; and (4) reductions of headquarters-level military, civilian, and contractor personnel. DOD dedicated most of the plan to describing the governance structure of the proposed administrative framework and to describing the timeline for a phased transfer of the approximately 457 MTFs to the DHA by October 1, 2021. Initially, DOD was to transfer responsibility for the administration of the MTFs to the DHA by October 1, 2018. However, Congress in the National Defense Authorization Act (NDAA) for Fiscal Year 2019 amended the law to allow, among other things, DOD to complete the transfer by September 30, 2021. DOD has taken key steps in its June 2018 plan to improve the effectiveness and efficiency of the administration of MTFs. However, DOD’s plan has two weaknesses that could be mitigated with additional information. Specifically, DOD excluded 16 operational readiness and installation-specific medical functions from consideration for transfer to the DHA. DOD did not define or analyze the potential effect of excluding these functions, which include dental care, substance abuse, and occupational health. Senior officials from the DHA and the Assistant Secretary of Defense for Health Affairs acknowledged that transferring the dental care function, for example, from the military departments to the DHA could potentially reduce duplicative activities. DOD’s plans to achieve the stated goal of reducing headquarters-level personnel, including contractor personnel, by 10 percent are unclear. In its June 2018 plan, DOD states that the DHA will experience personnel growth during each phase of the transition, but that it expects to reduce headquarters-level personnel by 10 percent by 2021. However, the plan does not provide specific details about how DOD will achieve the established goal of reducing headquarters-level personnel by 10 percent while the DHA experiences personnel growth. Further, the plan does not address whether and how contractor personnel factor into the reduction. This lack of clarity exists because DOD has not validated headquarters-level personnel requirements or conducted a comprehensive review to identify the least costly mix of military, civilian, and contractor personnel to meet the validated requirements. Until DOD takes action to resolve these two weaknesses, DOD will likely not be well positioned to reduce or better manage duplication and improve efficiencies, including reducing headquarters-level personnel across the Military Health System. Furthermore, Congress will lack important information to determine the extent to which the transfer of the administration of the MTFs to the DHA is being planned and implemented effectively and efficiently. In fiscal year 2017, DOD provided health care to 9.4 million beneficiaries, including servicemembers, retirees, and their families at a cost of $43 billion. For more than a decade, partially in response to congressional mandates, DOD has worked to address inefficiencies in the Military Health System to control costs. To further achieve efficiencies, the NDAA for Fiscal Year 2017 required DOD to develop an implementation plan that addressed four elements related to transferring the administration of the MTFs to the DHA. DOD issued the plan in June 2018. The NDAA also included a provision for GAO to review the plan. GAO determined whether (1) DOD’s plan included the statutory elements related to the transfer of administration of the MTFs to the DHA and (2) additional information would be useful to demonstrate that the plan will reduce or better manage duplication and improve efficiencies. GAO assessed DOD’s plan against the required elements and, where appropriate, considered the extent to which the plan provided detailed information related to key change management practices identified in past GAO work. GAO recommends that DOD define and analyze the 16 operational readiness and installation-specific medical functions for duplication, validate headquarters-level personnel requirements, and identify the least costly mix of personnel. DOD concurred with all three recommendations and noted actions it was taking to address each one. For more information, contact Brenda S. Farrell at (202) 512-3604 at or farrellb@gao.gov. Dec. 12 (UPI) — With about nine million veterans throughout its system, U.S. Veterans Administration, or VA, hospitals may deliver better medical care than other hospitals, according to a study. The new findings are based on data from 15 data outcome measurements from the Centers for Medicaid and Medicare Studies, or CMS, on VA and non-VA hospitals, including 30-day risk-adjusted mortality rates for common diseases like acute myocardial infarction, COPD, heart failure and pneumonia. Researchers also analyzed 11 additional patient safety indicators. Based on those factors, the study’s researchers determined that VA hospitals would likely provide better medical care than local hospitals and health facilities. “We wanted to take a closer look at local healthcare markets and specific health conditions because if you’re a veteran deciding where to seek treatment what you’re really concerned with are the outcomes at your local VA,” Dr. William Weeks, a professor at the Dartmouth Institute, said in a press release. The researchers used the indicators to gauge various VA and non-VA hospitals within 306 hospital referral regions. For head-to-head comparisons, they confined the examination to 121 regions that had least one VA hospital and one non-VA hospital. With 1,240 facilities, the VA runs the largest integrated health system in the United States, including 170 VA medical centers and 1,061 outpatient sites. More than 9 million veterans are enrolled in the VA healthcare program. The study doesn’t account for all quality measures, and VA officials in the past have struggled to clean up the perception that the federal health care provider gives poor quality service. In February, to address those quality issues, the VA announced a four-point plan to step up performance at low-performing facilities that included: national accountable leadership, comprehensive analysis and identification of improvement targets, and provision of national resources for improvement and accountability for results. Earlier this year, the RAND Corporation also put care at the VA on par with other health providers. The study acknowledges that, in some markets, non-VA hospitals provided better quality but, overall, VA hospitals provide better care.